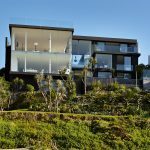 A spectacular overhaul of a dilapidated beach house has improved the view inside and out, creating a resort like feel, where everyday feels like a holiday. 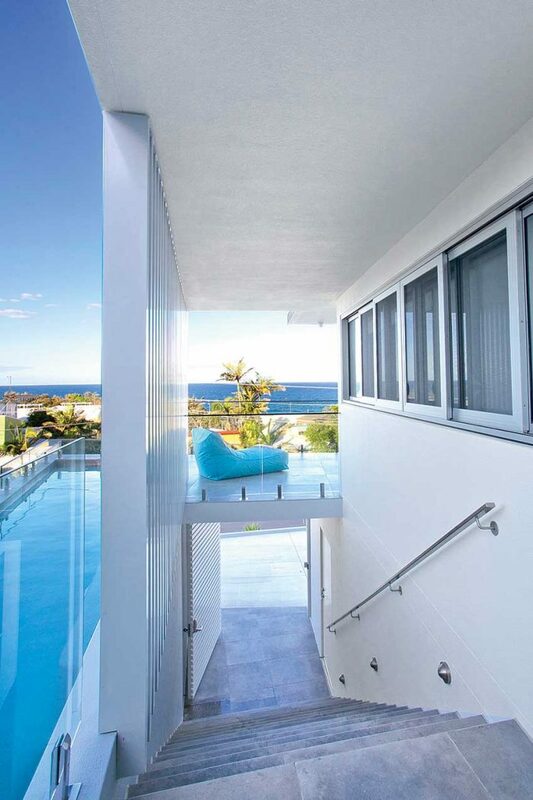 When Jody and Kylie bought a holiday house in Coolum nine years ago, their sights were firmly set on the view, with an expansive ocean outlook stretching up the coastline to Sunshine Beach. “On our first walk through the house we spotted whales out at sea, which pretty much sold us on the place,” explains Jody. Yet the house itself, a 1980s brick building with dated pokey rooms and a rapidly deteriorating timber deck, had definitely seen better days. 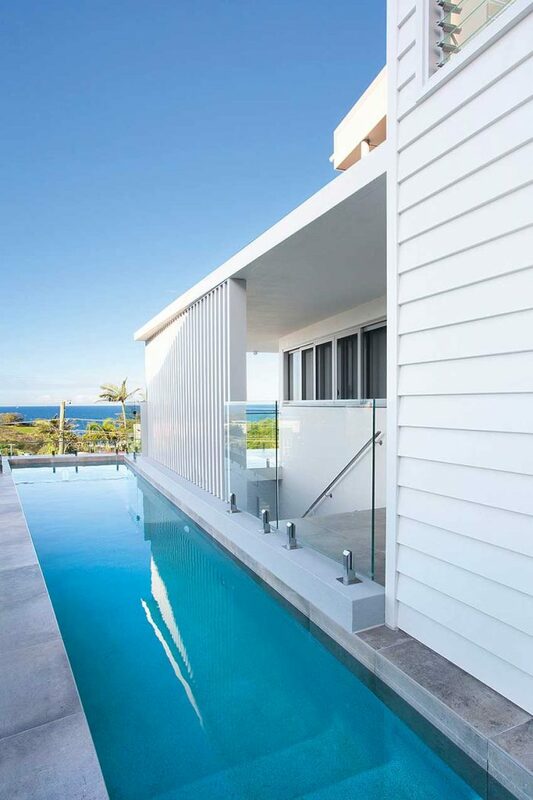 “It really didn’t make the most of the site, there were just two small windows looking out to the ocean which provided a postage sized glimpse of the view – and while it served us quite well for holidays over the years, the ever increasing maintenance issues prompted us to make major improvements,” explains Kylie. 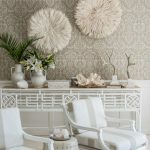 Compiling an extensive look-book of images of homes that they liked and a detailed brief outlining their vision for the house, the couple teamed up with Scott Falconer of Aboda Design Group to refine their concept and create a more spacious holiday home which exuded a relaxed coastal feel. 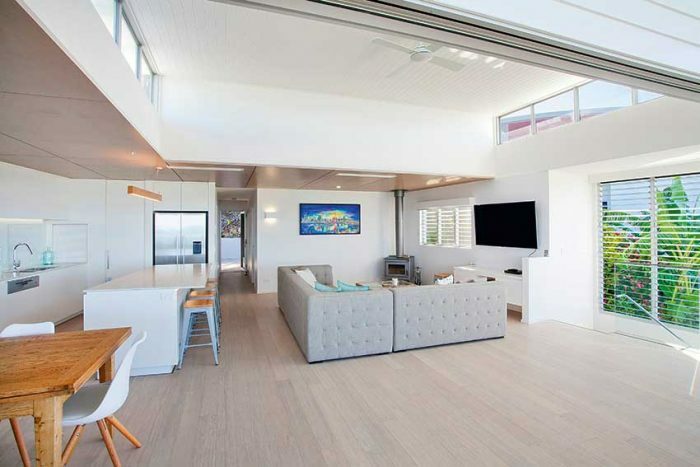 Inspired by the light, bright, open plan layouts and tranquil palette of many homes in nearby Sunshine Beach, central to the re-design was extending the split-level home to enhance the sense of space and opening it up to the elements to embrace the view, coastal breezes and an abundance of natural light.”Scott came up with a wonderful way to really capitalise on the view by raising the ceiling height and adding clerestory windows and resolved the entry so you get a sense of wow factor as you come up the central stairs and see the ocean,” explains Jody. Also on the wish-list was a pool, larger bedrooms and a new triple garage which could cater for the couple’s three children – Emily, 22, Lucy, 20 and Tom, 16 – and countless visiting friends and family. 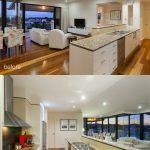 An 18 month project from design to completion, the couple travelled up from their Brisbane home for weekly site visits with Scott, who has become a great friend and regular visitor for weekend barbecues on the new deck. “The house has more than doubled in size and we couldn’t be happier with the transformation. At times it’s hard to believe it is the same place,” exudes Jody, whose favourite spot is the top deck. 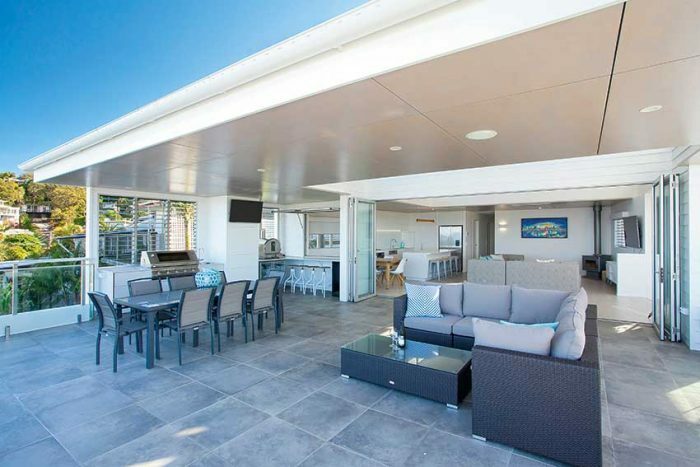 Complete with all the luxuries including a barbecue, bar area, pizza oven, servery, TV and plenty of space to dine alfresco or spread out on the couch, the deck also functions as viewing platform with the coastline providing an endless source of interest. “We love sitting out there and watching storms roll in and container ships and cruise liners on the horizon. 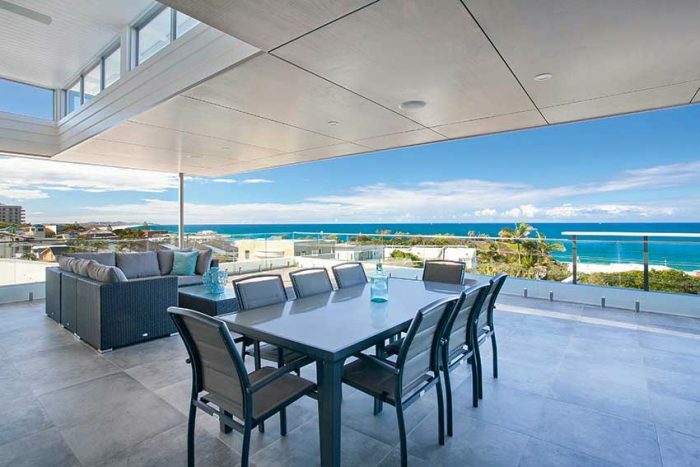 There’s always something to see, whales, skydivers up the beach and on weekends there’s weddings at the lookout,” says Kylie of the home’s bird’s eye vantage point. 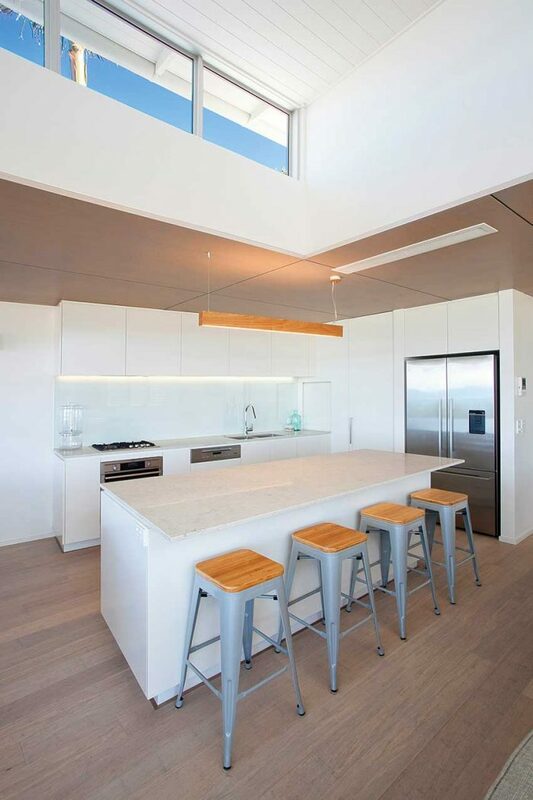 Inside, a calm coastal look has been achieved with ZEN Brushed Ivory bamboo flooring, a modern streamlined kitchen and a soft white palette tempered with subtle touches of grey and aqua, introduced with timeless furniture from Dare Gallery. Texture is also a feature with a soaring ceiling clad in VJ boards accentuating clerestory windows which draws in blue sky, while in the living area a more intimate feel is created with a dropped ceiling finished in lime-washed ply with express shadowline joints. Keen cooks and entertainers, the addition of a dumbwaiter from the garage to the upper levels has also enhanced the sense of luxury. “Before, access upstairs was really awkward and it was difficult to lug shopping and luggage up. Now we just pop everything in the dumbwaiter and it can be delivered to both floors,” explains Jody. 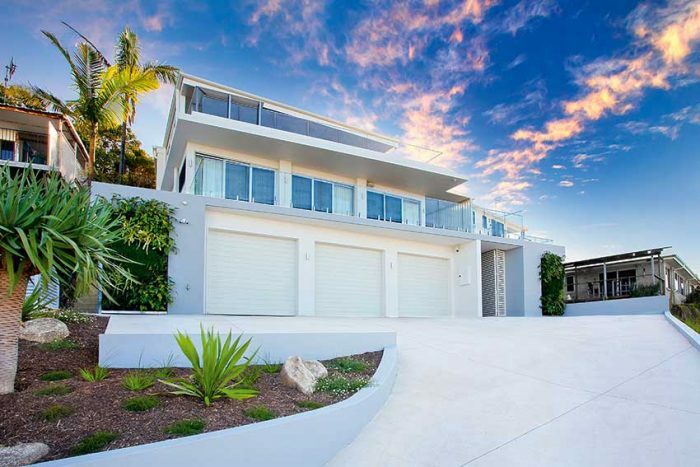 Now with the renovation complete, their time at the house is all about relaxing.” We’ll have a lie in and lazy breakfast followed by a swim at First Bay, then it’s back home for a long lunch and a beer. A trip to the dog beach with Bailey and in the evening we’ll see whoever is kicking around for a barbecue,” says Jody.